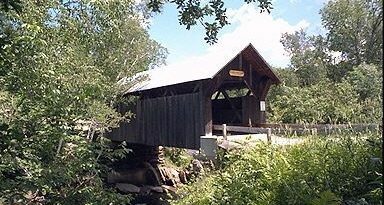 *Area, Population and Density rankings refer to Jericho’s relative position among Vermont’s 255 civic entities (9 cities, 242 towns, 4 gores and grants). Complete rankings are here. Jericho and Corinth are the only towns in the New Hampshire Grants not to succumb to Benning Wentworth’s relentless efforts to impress the wealthy and politically powerful. While classical and Biblical names were popular in other colonies, Wentworth opted to name towns for the peerage and the English towns in which they lived (or, at the very least, one of the town’s principal grantees). It would appear that Tom Chittenden, one such principal grantee of this town, prevailed upon Wentworth to depart from habit: an impressive name from antiquity would surely attract buyers. The modern (Biblical) Jericho, about four times the size of this one, is thought to be the oldest continuously inhabited city in the world, with archaeological evidence dating back over 11,000 years. The name may be derived from the Hebrew/Canaanite word meaning “moon,” as the Palestinian city was an early center for worship of lunar deities. On the Underhill-Jericho town line is Underhill Flats, one of the few villages in the state which lie in two towns. In what could be called an early variant of gerrymandering, the story is told of Jedediah Lane, who moved here from Connecticut, eventually to become the town’s representative in the Legislature. When a land survey was completed, it was discovered that Lane actually lived in Underhill. Not wanting to lose his job, Lane had his house moved a few feet west, over the line into Jericho. Jericho was home to “Snowflake” Bentley. 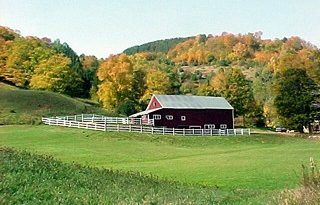 Chittenden Mills (“The Old Red Mill”) is the home of the Society, housing not only a milling museum but also the Snowflake Bentley Exhibit. 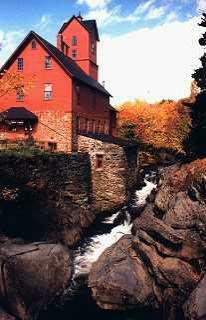 The mill is listed on the National Register of Historic Places. M-Th 8-4; F 8-3; Sat by appt.